“A New Life” is the second book in our series, and it tells the compelling story of a young couple who has decided to immigrate. With their growing family, they forge a new life, exploring their adopted country and learning how to thrive in challenging circumstances. 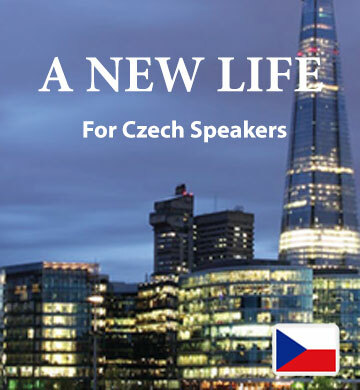 Czech speakers will be drawn into the trials and triumph of the characters, and in each chapter you’ll gain a natural familiarity with new vocabulary. Each time you read the downloadable book and listen to the accompanying audio track, your understanding will grow and you’ll feel more confident about using English yourself. Our mobile app, which is included in your download, lets you access your book on your phone or tablet at your convenience, no matter where you are.